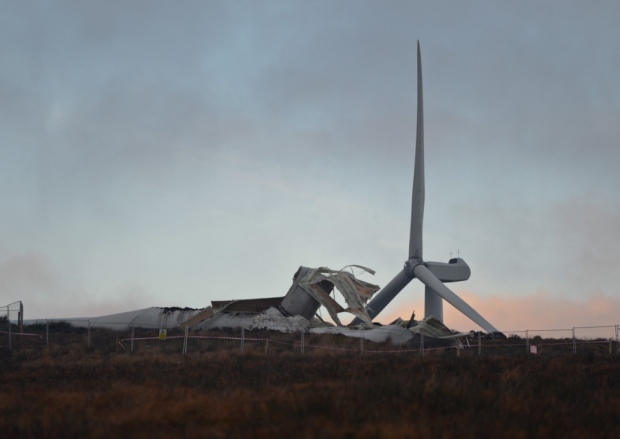 As a precaution, all of the turbines at the 21-megawatt wind farm have been shut down until the investigation is completed, Howard said. 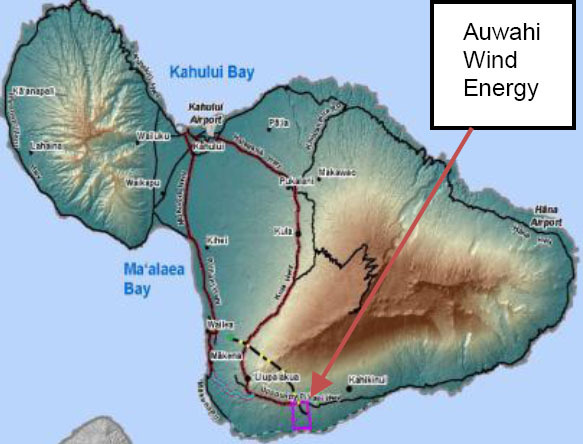 Shayna Decker, spokeswoman for Maui Electric Co., which receives wind power from Auwahi, confirmed Monday afternoon that the utility was not receiving power from the wind farm. 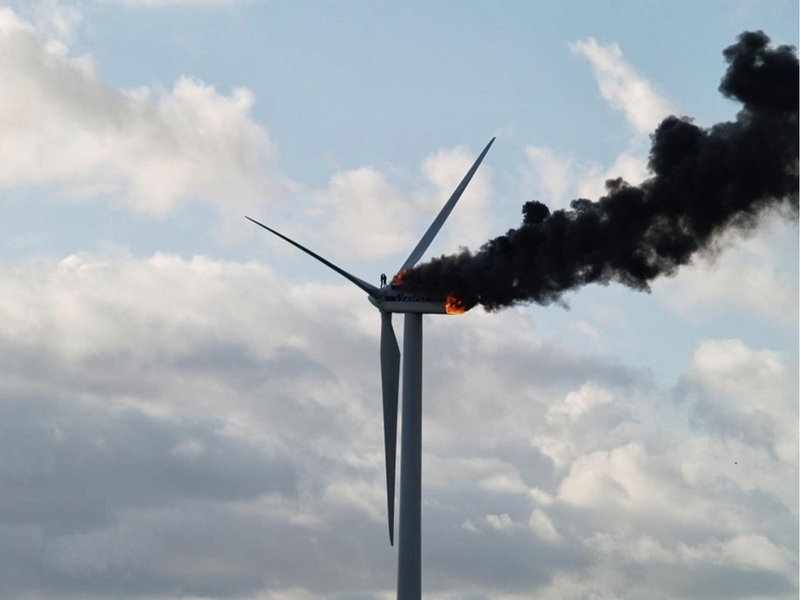 “It is too soon to know how long this comprehensive investigation will take,” said Howard. 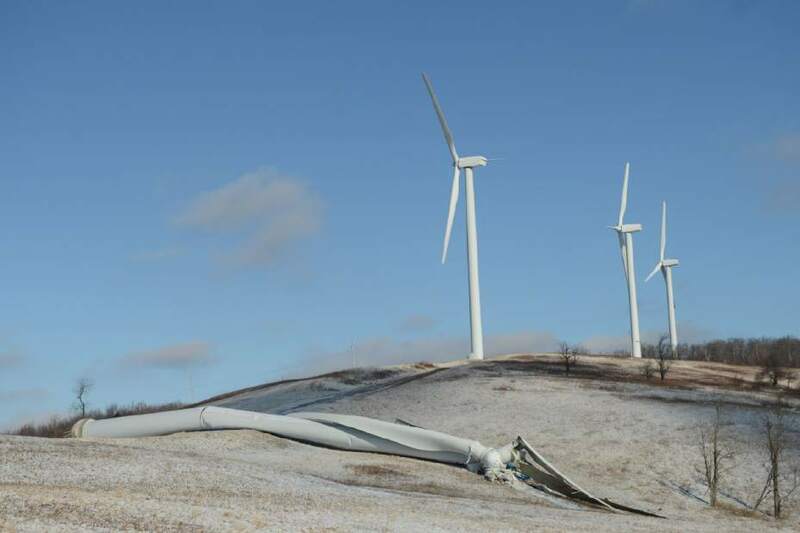 According to the final Environmental Impact Statement for the project, filed in August 2011, each tower weighs a total of 283 tons, based on transport weight. 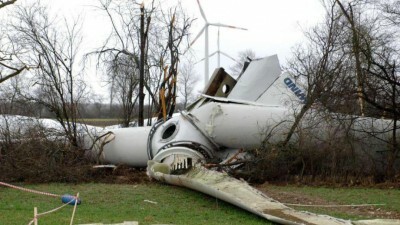 The nacelle, which houses all of the generating components of a wind turbine, is 82.5 tons, alone. 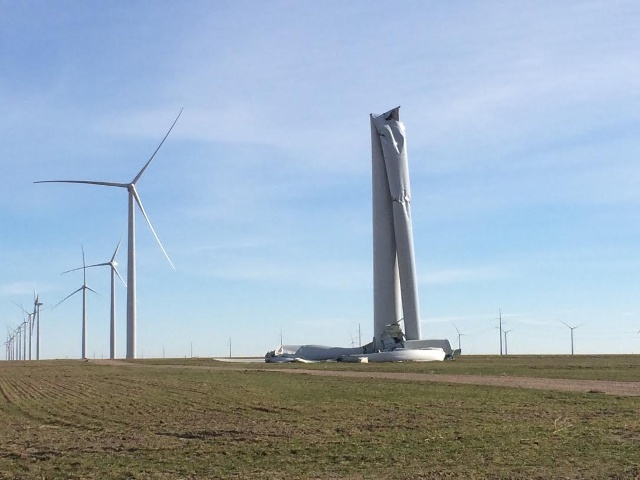 Each tower is 262 feet high with blades running 166 feet, according to the EIS. 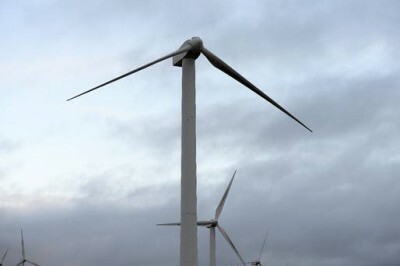 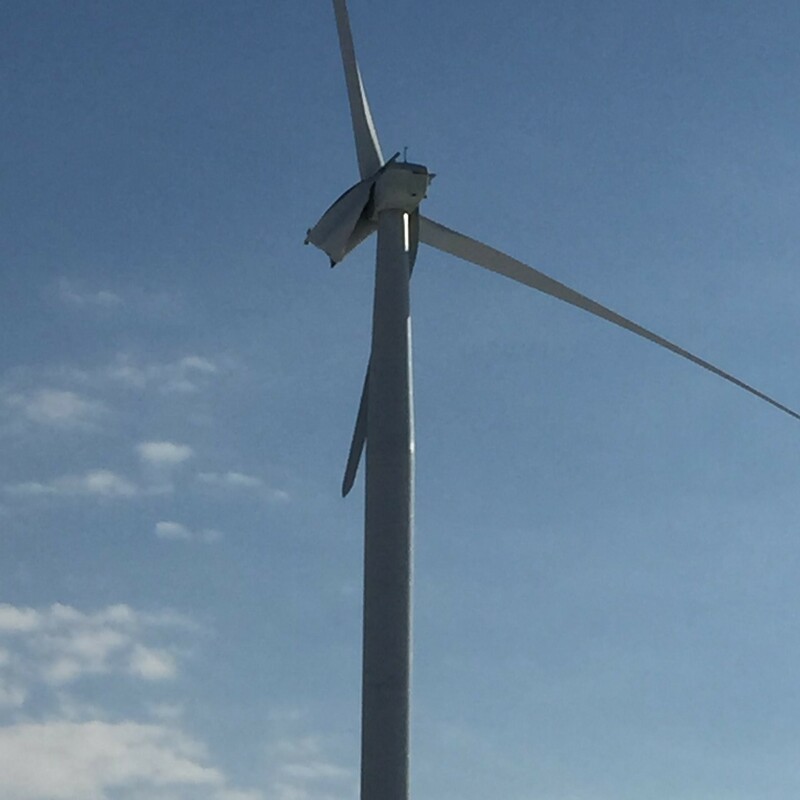 The report said that each unit is equipped with a controller that allows the wind tower generator to operate when wind speeds are between 8 and 55 mph. 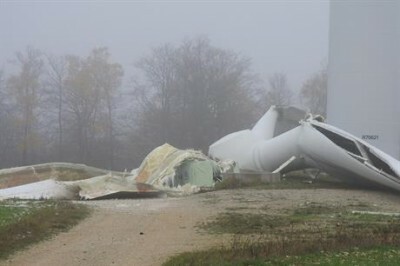 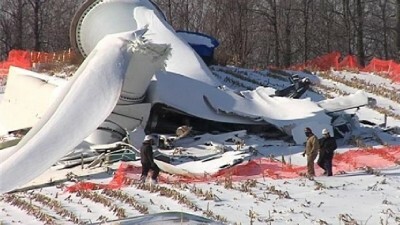 High wind speeds can damage the units. 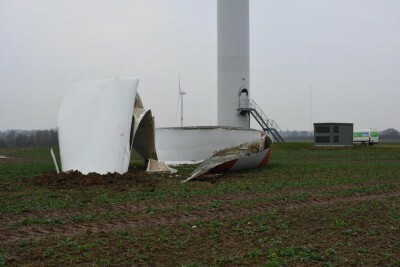 A tower collapse or blade throw can result from “improper design, manufacturing or installation; wind gusts exceeding the . 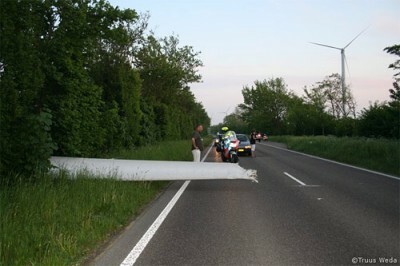 . . maximum design load; or from lightning strikes,” according to the report. 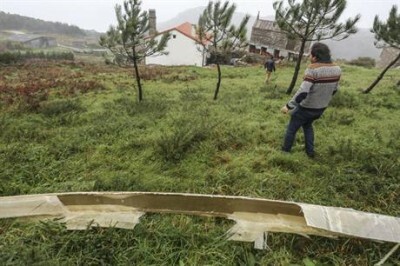 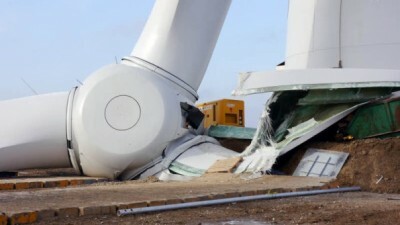 Compliance with industry design, construction and operational standards “appropriately and effectively reduce the potential for tower collapse and blade throw,” the report said. 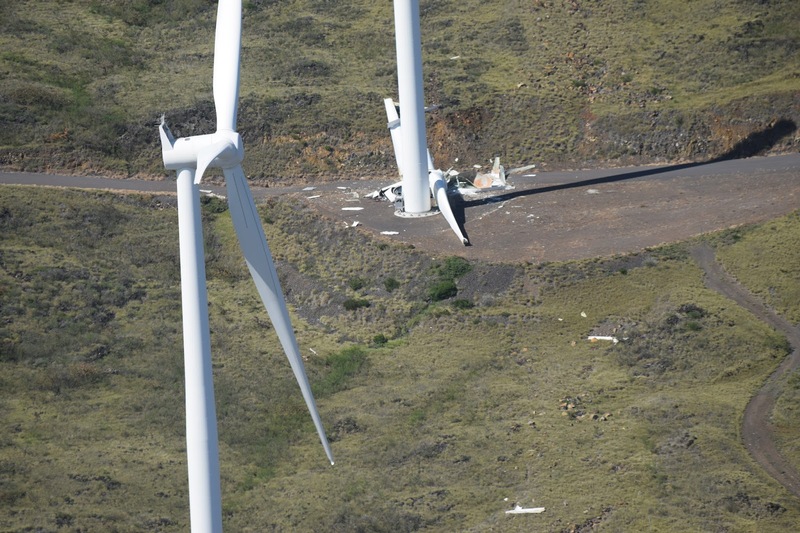 The wind farm, with a footprint of about 68 acres on Ulupalakua Ranch land, has an estimated 20-year lifespan. 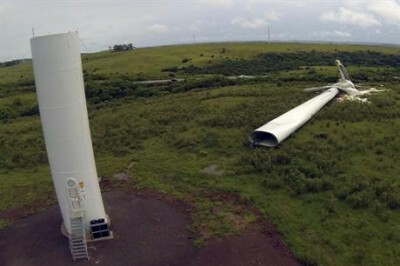 The power purchase agreement with MECO, approved by the Public Utilities Commission in June 2011, was for 20 years. 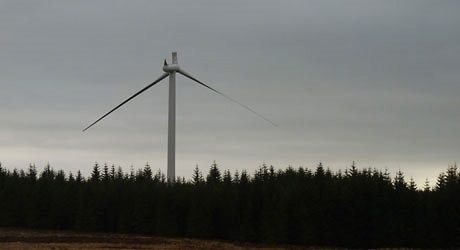 The 21-MW wind farm went online in December 2012. 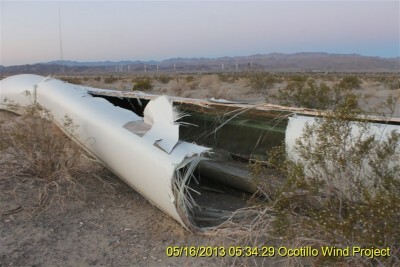 The line about wind turbines having “an estimated 20-year lifespan” is utter bunkum: these things have an economic lifespan of around 11 years (see our post here); and Siemens turbines in the Californian desert, at Ocotillo began falling apart in less than 2 years (see our post here). 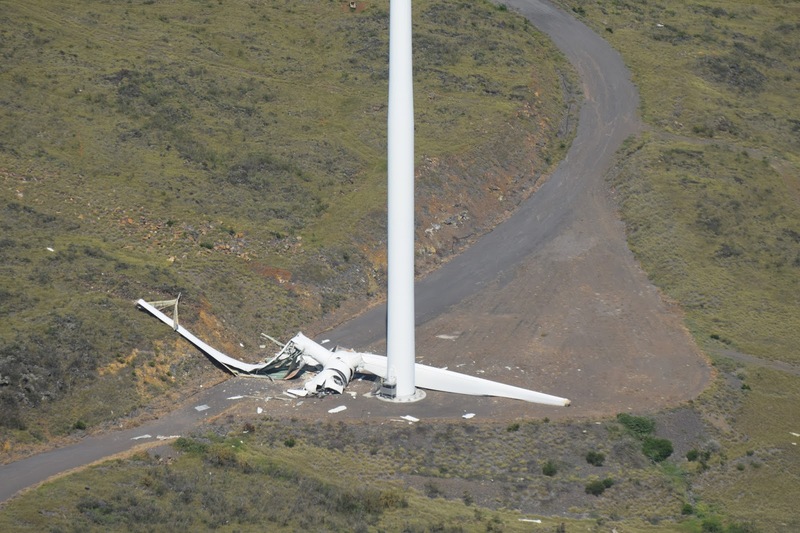 The pitch in the report from the operator that “it is very rare” for a wind tower generator “to collapse or a rotor blade to be dropped or thrown from the nacelle” is a delicious gift to STT. 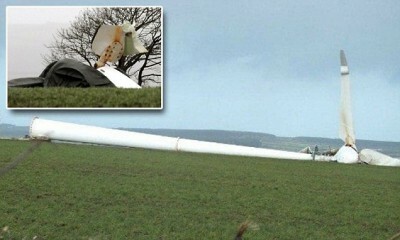 Yet another one of these bird munching crucifixes collapsed ‘mysteriously’ in high gales last night. 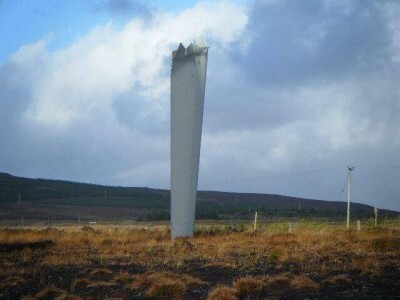 This time in Ballynahinch, County Down in Northern Ireland. 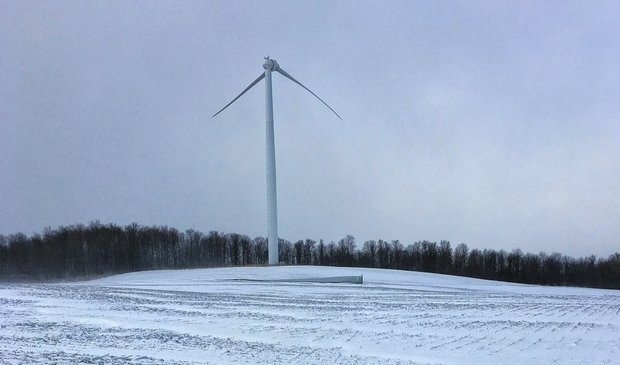 Where the march of these ill built, unsustainable murderous conning monsters across the rural landscape has only just begun. 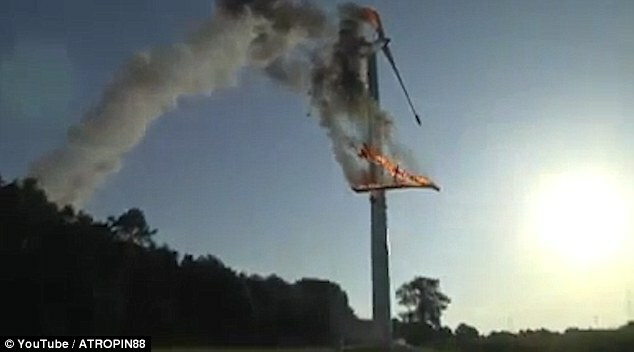 Here we go again, another beautiful fire in Michigan. 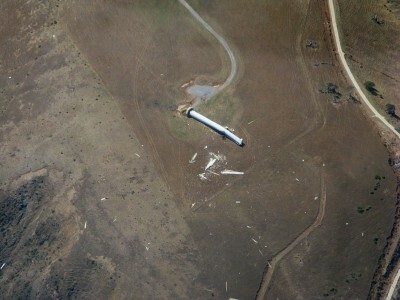 Burn baby burn is all I can muster for a comment.